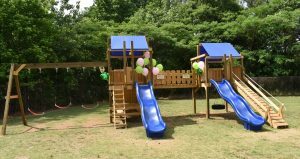 North Metro Academy of Performing Arts has a new playground named after the founder of the school. 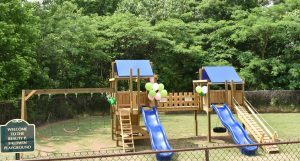 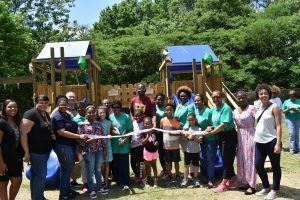 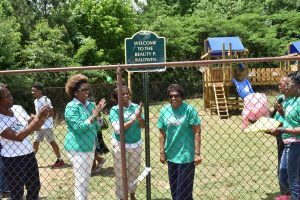 The Beauty P. Baldwin playground, which was donated by the Upsilon Alpha Omega Chapter and Psi Tau Omega Chapter of Alpha Kappa Alpha Sorority Inc. (AKA), features two slides, six swings, and a climbing wall. 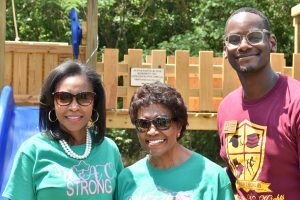 Mrs. Baldwin, who is the founder and board chair of North Metro Academy of Performing Arts, became Georgia’s first black female school superintendent in 1984 when she became superintendent of Buford City Schools.